A little over a week has gone by since I Queuesday’d Jillian. I followed my own instructions and went ahead with the smallest size (35″). There’s no ease because of this, but I think it fits me really well! 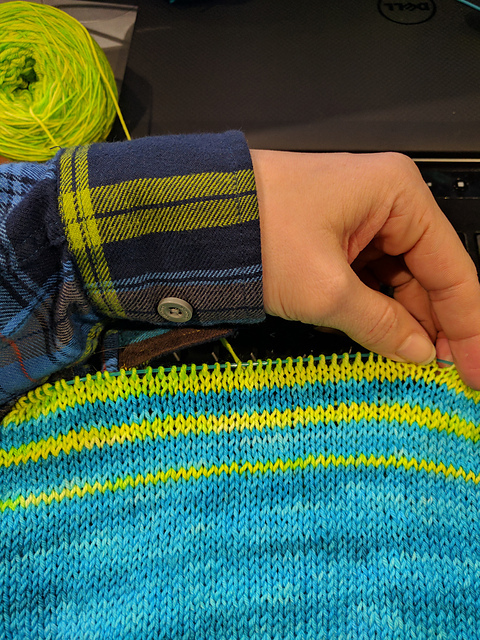 I’m happy to say that I’m past the first striping (blue to green) on the first sleeve. It’s going as quickly as it can go, with alternating from the inside and outside of the ball. The striping sections are a little fiddly because of this, because managing four strands is just painful at times. Stopping every row, sometimes mid row, to rearrange the strands… But it will be worth it for non-pooled stripes. I didn’t do anything special on the alternating side of the stripes, so they look off. I’m calling it a design feature, as I actually quite like the way they line up. 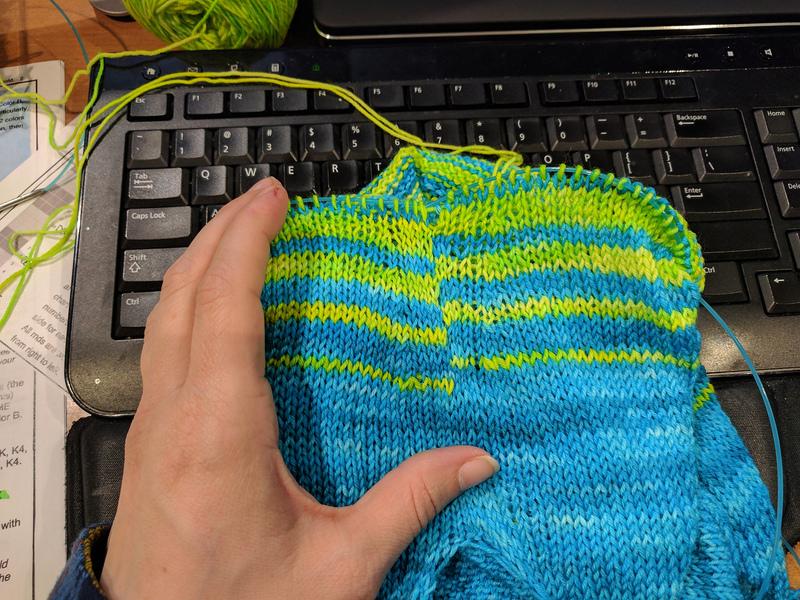 It’s really hard to get one-row stripes to look contiguous anyways, so I’m just owning my mistake and saying it looks fine. I have been wearing my black pants all week, so my WIP pics with the finished body are pretty laughable. Where does the sweater end and the pants beginnnnnn?